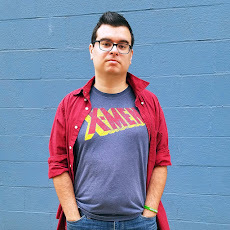 Professional Geeks is a series of interviews with some of the coolest people I know; people who pay their bills being geeks. Joseph Dukovich is the owner of Victory Pointe, an arcade and gaming cafe located in Pittsburgh. 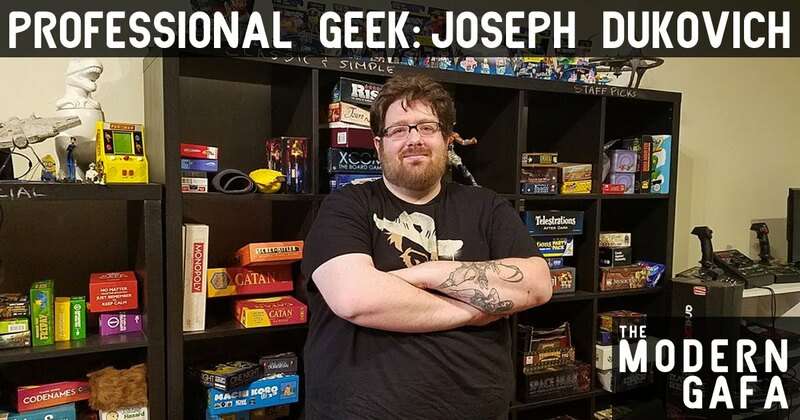 Joe brought his dream to life in 2015, allowing Pittsburgh's gaming community to have a place to play on classic arcade machines, pinball, Japanese imports, board games, card games, console games, and even virtual reality. Joseph Dukovich: Well since I run the arcade I guess I hired myself? More specifically I suppose I wasn't very good at much else. I have 1.8 college degrees (In English Literature and Game Art and Design) but I was never really good at working a 9-5, and those degrees really only lend themselves to academia. I've always loved games and I had a large personal collection that I would often loan out/make suggestions from (I was known as a gaming library in high school/college) and so charging for that same service seemed like a good way to slide my passion into a career. JD: Depends on the day honestly. Since we have a small team we tend to all wear many hats. Often my days involve a mix of big picture decision making as far as stuff like pricing, day to day use of funds etc, and then direct interaction with customers as a point of service. But each day brings its own tribulations, whether it's preparing events for our anniversary, organizing board games, or just having a huge rush of people who want to try the Virtual Reality. JD: Well I think people recognize my passion for the history and preservation of games and so they appreciate the small things we do such as running as much original hardware as possible and using Framemeisters and low input lag monitors as well as primarily running our classic arcade cabinets on CRTs. JD: Seeing other people enjoy games that I have enjoyed. I really just love seeing people discover something new and start to recognize all the awesome history of this medium. It's also cool that I got to grow up with gaming having been born the year of the Atari crash and so I've seen most of gaming's childhood and adolescence and the growth of the medium and development of its unique grammar. It's pretty cool to be at the ground floor of something like that, akin to being a theater owner from the early 20th century right into talkies and color. JD: I still love what I do. Management and customer interaction and having to put an exact monetary price on things can admittedly put a bit of a tarnish on things, but seeing people enjoying the games hearing people get animated, that always wipes it right off. Plus I still try to play games, I play Overwatch and Street Fighter competitively (At a pretty mediocre level, but it's fun to try and improve and I'm a decent coach in both) I play a lot of indie games on PC, recently I've been playing through Pyre and I just finished Hellblade. Also I played through Sonic Mania which was fantastic and Mario + Rabbids Kingdom Battle has been a pleasant surprise. On the board game front I've recently been playing a cooperative game campaign in One Deck Dungeon as well as in TIME Stories. Also I've been meaning to try Near and Far, which is a sequel game to the fantastic Above and Below. So clearly I try to keep up with new games and I still like experiencing them. So obviously playing games is still something I enjoy with my time.